MassLive is reporting Massachusetts is included in the Center for Disease Control’s study of birth defects related to the Zika virus. CDC data suggests 3 of of every 1,000 babies born in 15 states, including Massachusetts, had a birth defect possibly related to the Zika virus in 2016. Primarily contracted from mosquitos, the virus can be transmitted through the placenta, leading to pregnancy complications and birth defects. The number of birth defects in the U.S. is a startling problem. The federal government estimates a baby is born with a defect every 4.5 minutes in the United States, affecting 120,000 babies each year. A high number of birth defects and birth injuries are caused by medical mistakes. Common birth injuries include cerebral palsy, paralysis, herbs palsy, forced injuries, c-section injuries, broken bones and infection. In many cases an injury may occur at child birth. In other cases, complications during pregnancy, including side-effects of many medications, may result in birth injury or defect. Eclampsia or pre-eclampsia is a particular danger, both because of it’s life-threatening implications for mother and child, and for its tendency to be missed or misdiagnosed by hospital staff. Eclampsia involves seizures, which can result in premature or stillbirth of infants. Late diagnosis or failure to diagnose can also be life-threatening to the mother. 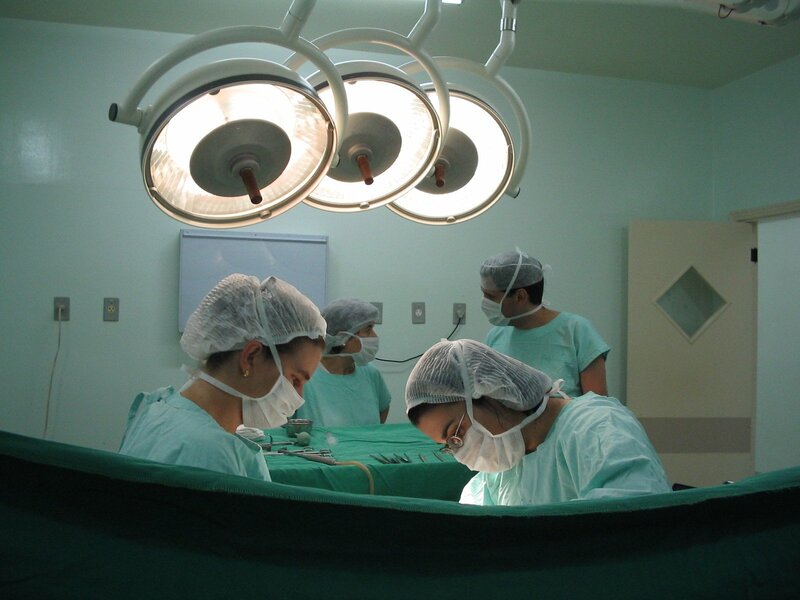 C-Section birth injuries are increasingly becoming an issue in medical malpractice cases. In 1965, when the national cesarean-section birth rate was first measured in the U.S., C-sections accounted for 4.5 percent of all live births. Today that number has increased more than 700 percent, as c-section births now account for about a third of all births in the United States. Because so many birth injuries and medical malpractice cases stem from live birth (bleeding, oxygen deprivation and forcep and muscular injuries being among the most common), gynecologists often default to a c-section birth at the first signs of trouble or complications during pregnancy. While it’s true a significant number of birth injury cases stem from a physician’s failure to timely perform a c-section, it’s also true that subjecting mother and child to c-section birth carry risks of its own. U.S. Department of Health and Human Services continues to work to reduce the number of non medically indicated cesarean deliveries. Still, more than 1.3 million cesarean deliveries are reported each year, about 350,000 of them deemed medically unnecessary. Each year, more than 4 million child births occur in the United States, making it the most common reason for hospitalization. Research sponsored by the Agency for Healthcare Research and Quality reveals more than 150,000 potentially avoidable birth injuries occur to mother and child each year. In general, findings showed injuries were most common among younger mothers during live birth and among older mothers during c-section delivery. Larger babies (over 8 pounds 13 ounces). Prematurity: Those born before 37 weeks. Cephalopelvic disproportion: size and shape of mother’s pelvis not adequate for vaginal delivery. Caput succedaneum: Swelling of the babies scalp. Often associated with vacuum-extraction injuries. Cephalohematoma: Bleeding under the cranial bones. Medical malpractice claims in Massachusetts are complex cases that require thorough legal and medical review by a law firm with the experience and resources to go up against some of the nation’s largest medical providers, insurers and defense firms. Outside investigative, legal and medical experts are consulted and retained by any responsible law firm that accepts the responsibility of representing clients dealing with a serious or fatal birth injury. Significant time limits and additional legal requirements require strict compliance. Under Massachusetts General Laws (Chapter 231 Section 60L), a birth-injury attorney must give a medical provider 182 days written-notice of intent to make a claim. Statute-of-limitations for medical malpractice claims in Massachusetts (MGL Chapter 260 Section 4) is 3 years, unless the injury went undiscovered, in which case plaintiff is given three years from time of discovery or from the time plaintiff had sufficient notice medical treatment may have caused the injury. However, the statute of repose establishes seven years from date of alleged malpractice, regardless of date of discovery, as the absolute deadline for filing medical malpractice claims in almost all instances. Medical Malpractice claims in Massachusetts require plaintiff to prove a number of legal elements. Because notice to medical provider must outline a client’s case, it’s easy to understand why even the most experienced law firm is under significant time constraints from the beginning of a case. Notice given to the medical provider must include the factual basis of the claim, the applicable standard of care, the manner in which care was breached by health-provider, alleged corrective action that should have been taken, manner in which breach of care was proximate cause of injury to plaintiff, and the names of all other health-care providers claimant intends to notify of the pending claim. The claimant must then turn over to the medical provider, all medical records claimant possesses or of which claimant is aware. An injured party’s attorney must also submit an offer of proof to a pre-trial tribunal in order for a medical malpractice claim in Massachusetts to move forward. Thus, plaintiff attorney must prove the case to either the satisfaction of the tribunal, health-care providers and their attorneys (in negotiating a settlement) or to the tribunal and a jury at trial. Section 60B Massachusetts General Laws Chapter 231 outlines the tribunal process. The tribunal consists of a superior court justice, a physician licensed to practice medicine in the commonwealth, an an attorney licensed to practice law in the commonwealth. While some birth injuries, complications, and birth defects occur through no fault of a medical provider or deficiency in pre-natal care, far too many are preventable. Those dealing with a birth injury should consult an experienced law firm as soon as possible so that a through medical and legal review can be conducted. Having access to the legal, medical and financial resources required to deal with birth injury or defect can be critical in overcoming the challenges and improving the outcome in many of these cases. If you are dealing with a birth injury in Massachusetts, call the Law Offices of Jeffrey S. Glassman for a free and confidential appointment — 1-888-367-2900.